THIS EVENT HAS PASSED. WATCH FOR NEXT YEARS INVITE! 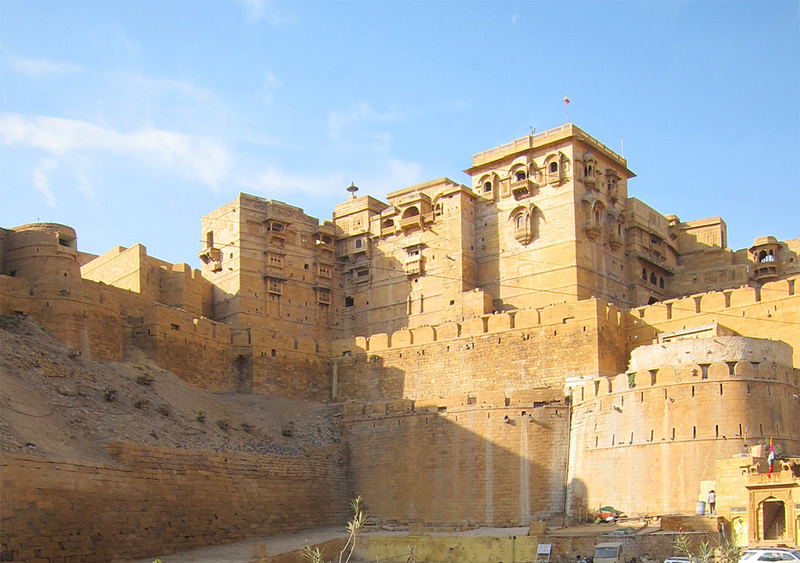 The Jaisalmer Cultural Festival will highlight the unique musical traditions of this breathtaking Thar desert region known as the origin of the Route of the Gypsies. You will have the privilege of experiencing this passionate music set within the austere and majestic environment in which it evolved. The festival is in support of the establishment this year of The Rani Ratnavarti Girls School and Women’s Empowerment Center. This project will bring opportunities and stability to the women of this region and their families, as well as preserve the cultural heritage of weaving and embroidery in the region. See more info on the festival below! Welcoming and Music Performances at Mool Sagar Hosted by Members of the Royal Family of Jaisalmer. You will be welcomed by the poetic sounds of nature and the desert created by the double shepherd algoza sindhi flute played by the Langa Music Community. String instruments like sindhi sarangi and kamaica, a heavy string sculpted from the wood of the mango tree with a round wooden case (tabli) will be resonating in the palace. Sufiana Poetry and Sufi Songs. Sufism in India has commonly been viewed as a secular attempt for an eternal quest of the soul for its direct experience of the ultimate Super power. For centuries the Hindus accepted Sufi shrines as symbol of communal harmony. A large number of them have been offering prayers in Sufi shrines without any reservation. Also a large number of Manghaniyar and Langa poets and singers sing for their patrons, the Jajman. Their amazing knowledge of sacred poetry, learned from the oral traditions given to them have the ability to move from Hinduism to Sufism according to the need of the audience or the religious circumstances. They sing the old poetry of great poets like Sultan Bahu, Bullet Shah (1680 – 1758), Mirza Ghalib (1797 – 1869) . This evening, some of the most interesting artists from this region will be performing, including Katshara Khan from Barmer and the famous Salwalna Khan and Sakur Indra. Inauguration of the girls school project. Music and dance performances by women and girls near Chundi Village and the Ancient Capital of Lourdova. Very auspicious! The ceremony starts with a performance celebrating Ganesh, the Lord of Prosperity and Clearing Obstacles. They will recite Bhajan songs from the artist Deru Khan. These traditions of women will be presented through Ghoomar Dance, a unique heritage of Rajasthan. Ghoomar was basically developed by the Bhil Tribe and was ‘ghaghara,’ the long skirt of the Rajasthani women which flows during the whirling motion creating circles. We will start the evening with soundscapes from the satara and algoza double flutes. Songs of Rajasthan Manghnaiyars and Langas. The Manghaniyar who inhabit the villages on the edge of the Thar Desert, play mostly for castes who are Hindu, which explains the difference between their repertory and that of the Langa. 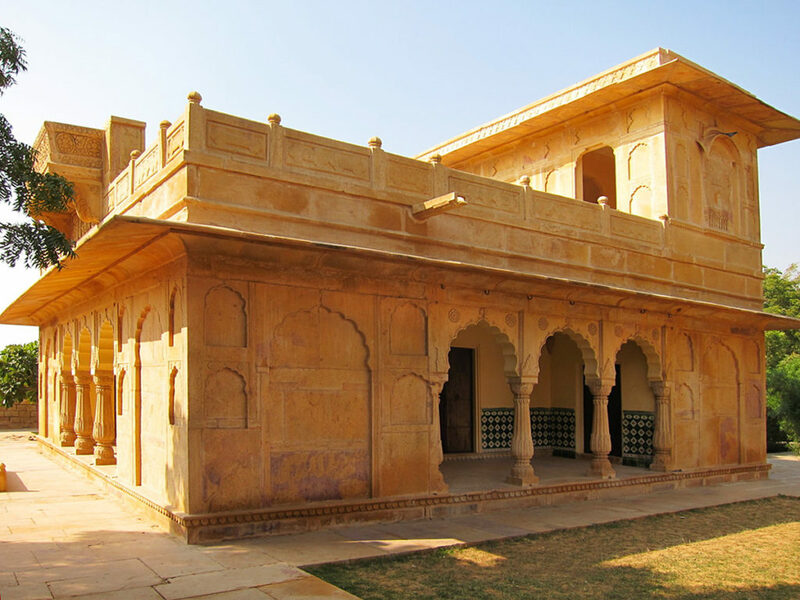 Like the Lautauri gypsies of Romania and the griots of Mauritania or elsewhere, the musicians of Rajasthan disperse themselves geographically in relation to the residences of their Jajmans. In contemporary society, where points of reference change very quickly, the ancestral contract still exists between the Manghaniyar and the Rajput, who assimilated into the ancient and mythic Ksatri, the ancient warrior caste. The particular specialty of the Manghaniyar are the mota git (long songs) as opposed to chota git, “shorter” and more ritualistic songs. Often in Rajasthan, these songs are given raga names, such as sorath, maru, sindhi bhairavi. Nevertheless, Komal Kothari, specialist in this music, points out that these names, which sometimes designate certain sites, do not correspond to classical Hindustani raga (song) of the same name. After a slow poetic vocal introduction without rhythm (duha), the Manghaniyar stretch out the mota git, with richness and sensibility. Bhat Acrobats and Gheir Dance. From Jaisalmer to Udaipur, the Rajasthan region continues to fascinate people with the vestiges of its medieval structures. With an ever numerous constellation of castes (jati) such as the Manghaniyar and the Langa, the Dholi (musicians who play a large double-skinned drum called a dhol), the Charan (genealogical poets), the Jogi (singers of the bhajan -devotional songs, and serpent charmers), the Bhat (historians and puppeteers), the Kamad, the Kamjar, and the Bhopa (shamans and diviners) all carry with them a memory of a past where the art of music, dance, and poetry evolved around the hierarchical structure of the Rajputs. The Bhat acrobats will be performing in front of the gate as well as Gheir dancers. The Gheir dance is one of the most inventive male dance expression. This warrior dance is usually performed during Holi festival. Originating from the pure tradition of praising the Bhati Rajputs (Royal warriors princes of Jaisalmer ) with poetry and singing. The most famous singer, Anvar Khan, from the Divana ensemble will be singing. Anwar Khan’s vocal work brings to light the ornamentation which undeniably sends us back to the very origins of classical singing. The Children of Today, The Musicians of Tomorrow. Nowadays, the poetic singing traditions of Rajasthan are disappearing rapidly. The elders among the Manghaniyar and Langa communities strive to transmit one of the most wonderful traditions from the Indian subcontinent to their youth. As much as they can, they teach their art to their children, starting sometimes at age 8. Promoting this amazing local heritage, some young voices are rising in todays music world, promoting and bringing attention to this amazing heritage. Mystical Songs and Nomad Dance Under the Moonlight. Different casts (jati) give a possibility to women to express their feeling through mystic songs and daily life poetry. Why? She’d knew how to love. but she’d tasted the nectar of passion. Meerabai or Mirabai ( Hindi: मीराबाई ) was an aristocratic Hindu mystical singer and devotee of Lord Krishna from Rajasthan and one of the most significant figures of the Sant tradition of the Vaishnava Bhakti movement. Some 1,200–1,300 prayerful songs or bhajans attributed to her are popular throughout India and have been published in several translations worldwide. In the Bhakti tradition, they are in passionate praise of Lord Krishna. Maybe the most mystical dance of Rajasthan is the famous dance of the Teratali, where the manjarat (small copper cymbals) spin rapidly in the air, Kamad women would praise Lord Krishna and their spiritual master Ramdeo who, like so many others, fought for the cause of equality amongst the castes in the 16th century. Woman, considered as being somewhere between sacred and profane, haunt the dreams and words of poets in the image of the word “divana” synonymous with desire, pleasure and ecstasy; she has “the beauty of a ruby”, “the fragile grace of a gazelle”, and she is “the reflection of the stars in the firmament”. With a simple rustle of their garment or a single movement of their foot, Jogi women announce the destiny of the gypsy woman whose life is given over to dance and dancing, just like the God Shiva, carried away by the movement of his wanderings through the cosmos. The Jogi of Rajasthan, formerly magicians and snake-charmers, are semi-nomad musicians of Hindu belief, they take us back to the origins of the Romani (gypsies). The dance known as kalbelya was performed in front of a snake, before the divine being of the Jogi magicians. The dancer has to imitate the cobra, turning round and round with infinite suppleness, producing the same hypnotic fascination of a snake. The voices of the Jogi women mingle in unison with the strident sound of the double clarinet known as the pungi. The pûngî (literally, a tube) resembles the Langa’s muralî, except that it has an additional air chamber made out of wood or a hollowed-out gourd, but the musician still uses the continuous blowing technique (naksasi). This instrument goes under other names in other regions – tarpo, bîn, nagbîn, (nag : a snake), bîn jogî; it is the snake charmer’s instrument, at the origin of a whole breed of this type that takes us as far as Egypt with the Ghadjar gypsies or the Masalib of the same “trade” who use the Egyptian equivalent of the Rajasthani double clarinet known as the arghul. The continuous blowing technique (naksasi) is used first and foremost for playing the satârâ, the double flute made of wood that is found both in Rajasthan and the Sind valley (Algôjâ). Its use is normally reserved for the Langa, but it is played exceptionally here to accompany certain songs of the Jogi women. Thank you for joining us at the first Annual Jaisalmer Cultural Festival! Unable to attend, but wish to donate to the event. Thank you for your support. All information is confidential. You will receive a notification which may be used for tax purposes. CITTA is a New York State registered 501(C)(3) non-profit organization. Please add me to the CITTA mailing list. Privacy Notice: We promise to keep all information confidential. We never share our list. Please click on the above box if you wish to receive future event notifications from CITTA. Thank you. Note: Numbers only, no dashes or spaces.